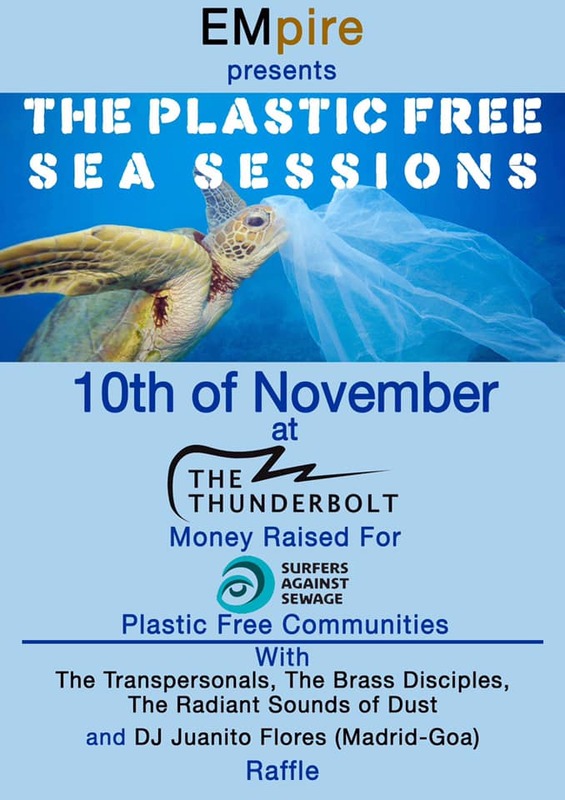 Empire presents: "THE PLASTIC FREE SEA SESSIONS" Fundraiser! RAISING MONEY FOR SURFERS AGAINST SEWAGE! Must go to event of their autumn! I want to raise money for surfers against sewage we have to get plastic out of the ocean. So I’m putting on a event. Thanks to Sophie and David at the thunderbolt we have the venue for free. Massive thank you . tattoo removal sessions from skilful pro clinic. *A express voucher with Leanne at the fabulous hair and beauty salon 2BU on wells road. A delicious brunch and coffee for 2 at tincan north street.